I have spent ten years assuming administrative responsabilities at Sciences Po, in research as Associate Dean of Research and co-director of two transversal research centers, and recently as the university's Vice President for Studies and Academic Affairs. ​From 2015-2018, I was responsible for all undergraduate and graduate programs of Sciences Po, student life, career services and admissions. Durning this time, we have completed the restructuring of our master programs into seven graduate schools, with the launch of the School of Public Policy and the Urban School in 2015 and the School of Management and Innovation in 2017. The undergraduate curriculum of the College also underwent a profound review. To support excellence and innovation in teaching, we have created a Learning Lab that accompanies professors in their class design and use of digital innovation. Our start-up incubator has been transformed into a Center for Entrepreneurship that now includes a large course offer and a Research Chair on Women in Business. Keeping with Sciences Po's belief in the strength of diversity and partnerships, we have continued pursuing a strategy of joint degrees, in particular with programs beyond the social sciences, and we created a program to support refugees. To facilitate a diversity of scientific backgrounds, we have also reformed the admission procedures at the master level for applicants from France, who no longer need to pass a written examen. The coordination of seven graduate schools, an undergraduate college on seven campuses in France, five central divisions and two centers implied the management of 300 staff members, a community of 10 000 students and over 4000 professors and lecturers. Le Monde "Sciences Po pour quoi faire?" par Pauline Sauthier, 19/01/2016. Le nouvel économiste, "De quoi Sciences Po est-il devenu le nom?" par Nicolas Chalon, 3/3/2016. Le Monde "Paris reste la meilleure ville étudiante du monde... pour l'instant" par Laura Buratti, 1/12/2015. Le Monde, "Sciences Po réforme son accès en master," 27/06/2017. Le Monde, "Comment intégrer un master un un mastère de grande école?" par Hélène Seingier, 27/01/2017. Le Figaro étudiant, "Sciences Po a attiré près de 17000 candidats en 2016," par Paul de Coustin, 8/12/16. Le Monde, "Concours: les grandes écoles misent de plus en plus sur les oraux," par Séverin Graveleau, le 4/5/2016. L'Etudiant, "Sciences Po: 5 questions sur les oraux d'entrée en master," par Delphine Dauvergne, 31/3/2016. Les Echos Start, "A Sciences Po Paris, la vie politique a beaucoup décliné," par Esther Attias, 3/7/2018. ​Challenge, "Ces jeunes cadres et étudiants brillants persuadés d'être des 'imposteurs'," par Clara Wright pour l'AFP, 11/11/2017. Reuters "'My life is safe now,' refugee students say at elite Paris university," by Pauline Mevel, Ingrid Melander, 15/3/2016. ​Le Monde, "Les étudiants de Sciences Po sont acteurs de leur formation," par Olivier Rollot, Blog éducation, 19/12/2016. Together with Marion Fourcade, we were the founding directors of the Max Planck Sciences Po Center on Coping with Instabilities in Market Societies (MaxPo), which opened in 2012. A joint venture between the German Max Planck Society and Sciences Po, created at the initiative of the Max Planck Institute for Market Societies in Cologne, the MaxPo investigates the social and political strategies to adapt to the changing conditions created by integrated economies. It is supported by an AXA Chair. The MaxPo is currently directed by Jenny Andersson and Olivier Godechot, who have obtained the renewal of funding after a mid-term evaluation in 2017. It currently hosts ten doctoral fellows and one post-doc, as well as a series of visiting researchers each year. Inauguration of MaxPo from Sciences Po on Vimeo. In 2011, Etienne Wasmer, professor in economics and myself became the founding directors of the Laboratory for Interdisciplinary Evaluation of Public Policy (LIEPP), when we received funding for a bid to the French government’s excellence initiative in research and education (10 million € over a ten-year period). The LIEPP is a collaborative effort of four Sciences Po research units to create multidisciplinary perspectives on policy evaluation. Under the leadership of Bruno Palier, LIEPP's current director, and Etienne Wasmer, the LIEPP underwent a successful mid-term evaluation in 2016, has helped to recruit six assistant professors, fund fifteen doctoral fellowships and brings together more than 180 researchers working on five thematic axes and projects funded with the help of 20 additional funding partners. Former and present directors at LIEPP annual seminar in Nancy, June 2015. 5 ans du LIEPP from Sciences Po on Vimeo. From ​2008-2012, I have worked with Vice President for Research Bruno Latour to support the scientific activities of Sciences Po. We have launched an initiative for transversal topics that gave rise to eight research axes, several of which have since then become institutionalized and received third-party funding. In 2009, Sciences Po launched the medialab to help the social sciences take full advantage of big data available in the digital age. In addition we developed an internal seed funding scheme governed by a Scientific Advisory Board. 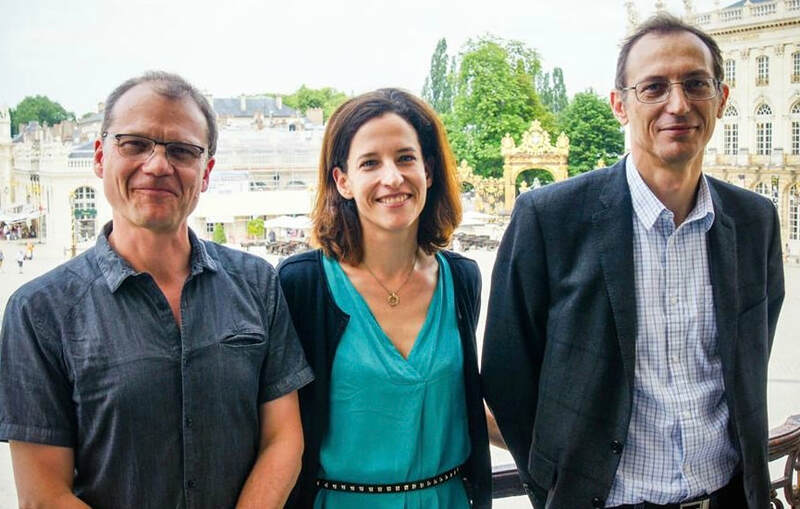 A reform of Sciences Po's scientific governing boards and a policy of converging career patters was put into place to create a community of permanent faculty members across the university. This period also saw the creation of disciplinary departments, to help coordinate across research centers. 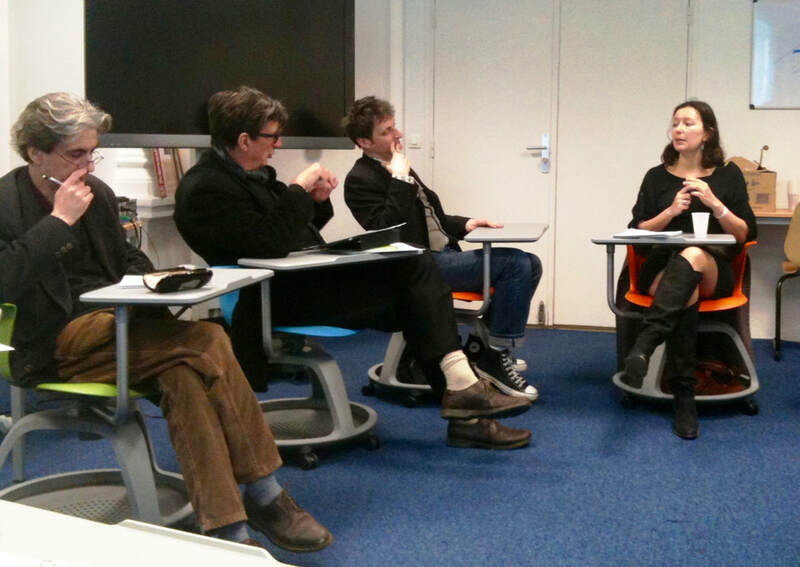 Meeting of the Research Department Team, April 2011.